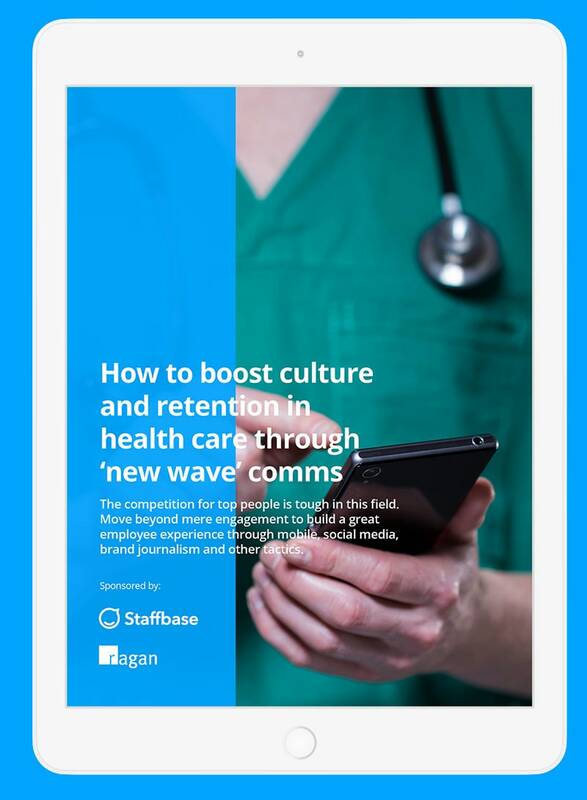 Free Tip Sheet "How to boost culture and retention in health care through ‘new wave’ comms"
Learn 8 practical ways how to become the catalyst for employee satisfaction and retention at your hospital or health organization. The competition for top people is tough in the field of health care. This free tip sheet from Staffbase and Ragan Communications will teach you how to use mobile, social media, brand journalism, and other tactics to heighten engagement by building a great employee experience.